In Pennsylvania, public schools are mandated to administer the PSSA (Pennsylvania System of School Assessment) test, while private schools are not. Results are used to determine if a school, its teachers, and students are "successful." The PSSA is destroying public education and transforming public schools into institutions where primary focus is training for "the test." Computer Science and other specialty area teachers are barely hanging on from the last round of budget cuts. Imagine business and technology education curriculums being eliminated, as the skills learned in these classes are deemed undesirable. It is happening in school districts everywhere. There was an article written last week by Kathy Newman, a mother, and English professor at Carnegie Mellon University in Pittsburgh about high-stakes testing and the PSSA. Her letter has gone "viral" in public school circles. Newman makes point that high-stakes tests like the PSSA are used to evaluate, close, and punish public schools. And high-stakes tests have irrational goals. According to the federal No Child Left Behind Act, every public school in the United States must be 100 percent proficient in reading and math (based on test scores) by 2014 (Newman, 2013). Newman also reveals the curriculum at her son's school district is narrowing and subjects that don't "contribute" to test preparation are being eliminated. As testing has ratcheted up, and Governor Tom Corbett's billion-dollar cut to Pennsylvania's K-12 education budget has kicked in, schools across the state are dropping programs that are not measured by tests (Newman, 2013). An increasing number of parents are looking for alternatives and choosing to home school or are sending their children to private schools. A swelling number of parents are choosing to simply opt-out of the test in a movement growing across the country. United Opt Out National is just one organization that seeks reform and is a leader in the opt-out movement. "Earlier this year, teachers in several Seattle high schools refused to administer a high-stakes test called the MAP. 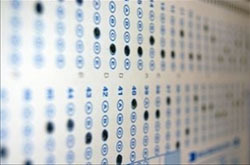 In Portland, Ore.; Providence, R.I.; and Denver, Colo., students themselves have been leading the charge against the tests. Just last month in Texas, more than 10,000 parents rallied against an increase in testing and decrease in funding for Texas public schools" (Newman, 2013). Public education is stressed, and in noticeable decline. If public education is to earnestly evolve, a move away from high-stakes testing is essential. Newman, K.M. (2013, March). Why I won't let my son take the PSSA. Post-Gazette.Com. http://www.post-gazette.com/stories/opinion/perspectives/why-i-wont-let-my-son-take-the-pssa-681537/. Michael Victory is a high school business teacher, writer, and host of The Victory Report. He grew up near State College, Pennsylvania, and currently lives with his wife and daughters in the western suburbs of Philadelphia. How do you crack a currency calamity?